A chocolate tart recipe that is no bake and only uses four ingredients? It may sound too good to be true, but it is indeed true and my husband even deemed this the best dessert he’s ever had! 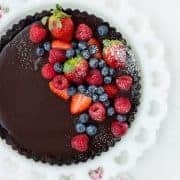 The richness of a crunchy chocolate crust topped with smooth, silky ganache filling is offset by fabulously fresh berries. Your friends will think you turned into a fancy pastry chef! It’s confession time. 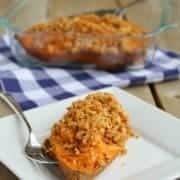 I developed this recipe while I was doing my Whole30. I was going to have a bite to ensure quality (it’s a tough job, but I do it for you guys! ), but I ended up having two small slices (on day 28!). I talked a lot about the reasons I did Whole30 the last time I did it. While I was doing it, I couldn’t honestly tell that much of a difference in how I felt, until I went back to my regular diet for a while. Then the light bulb went on….OH! I did feel better when I was doing Whole30! Now, being my second time, I’m giving myself a little grace. I didn’t break the rules at all the first time I did it. This time around, I’ve had a bite of non-compliant food here or there for recipe testing and one night I had a couple of glasses of wine. Perhaps I’m just starting the “food freedom” portion of a Whole30 lifestyle early, perhaps I want to live my life with balance, perhaps I just don’t care. It’s more of the first and second thing, less of the third. This chocolate tart…it’s so worth “cheating” on Whole30 a little. I’m seeing great results this round (energy! skin! focus! ), but I also want to live my life with joy and eating a smooth, silky, rich chocolate tart that I worked hard to make…that brings me joy. Okay, I didn’t work that hard to make it – it only has four ingredients (five counting the berries), and I didn’t have to bake it. We have part of a pack of Oreos sitting on our counter leftover from this recipe and those? Those aren’t worth breaking Whole30 for. 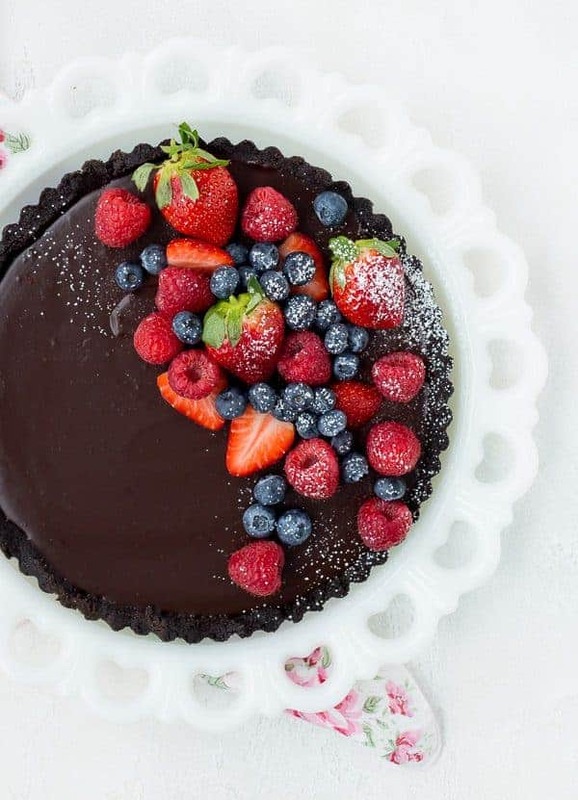 Silky ganache topped with fresh berries? YOU BET THAT IS WORTH IT. So, I enjoyed every. single. bite. And then I went back to Whole30. It is what it is and I’m sure I’ll get hate mail from die-hard Whole30ers but I’m just gonna do me. The important thing is that I didn’t have one bite and then feel guilty and subsequently devour the whole tart and a bowl of popcorn because I broke the “rules.” I ate enough to be totally satisfied and then I kept my eye on the prize. I never claimed this was healthy, right? It’s definitely a treat but the great part of it is that it’s so rich and decadent that even a small sliver is so unbelievably satisfying. The way I feel about this tart is the same way I feel about crème brûlée. High in calories, but so worth it! I’d take those calories over 10 low-calorie “desserts” any day. Process Oreos in a food processor until they are fine crumbs. Pour in butter and pulse until butter is evenly distributed. Press into a tart pan (no need to grease it). Prepare ganache by warming cream and pouring over chocolate. After a couple of minutes, start stirring until it forms a smooth silky ganache. Pour ganache into prepared crust and refrigerate for at least three hours. 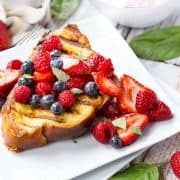 Top with berries and powdered sugar and enjoy! I used an 9-inch tart pan but you could make it into mini chocolate tarts using 4 or 5-inch tart pans like these. I haven’t tested this personally but I’m pretty sure it would yield 4 small tarts. You could also make it into a pretty rectangular tart — and how fun with this heart shaped one be? Add a touch of espresso powder to give this more depth of flavor. I’d use 3/4 teaspoon for a just little intrigue and 1 tablespoon for a solid mocha flavor. Use a flavored Oreo! I like the classic chocolate, but there are so many different Oreos to choose from. If you’re a peanut butter lover, using peanut butter Oreos could be fun! Top with whipped cream. I think some very lightly sweetened homemade whipped cream would be fantastic on this tart – you can never have enough heavy cream in your life, right? Use a measuring cup with straight sides to press the Oreos into the tart pan. You can use your hands, but a measuring cup will yield a really pretty result and it makes it way easier. Don’t boil the cream! When it starts to form tiny bubbles around the edges of the pan, it’s hot enough. Don’t stir the ganache for two minutes after pouring the cream over the chocolate. I know, it’s SO tempting to stir it early and watch the magic happen as it transforms into ganache, but waiting will give you a better result with less frustration. Add berries immediately before serving and make sure they aren’t too wet. The water and juice from the berries will make the ganache a slightly different color and it will taste and look better if you wait to do this. Sprinkle on just a touch of powdered sugar for a really polished, pretty final look. I use a mini fine-mesh strainer but you could also use a fancy little sifter made just for this task. I don’t make enough desserts to have a separate tool just for dusting things with powdered sugar, but it is a fun gadget! Did you know that cancer is the #1 cause of death of children by disease in the U.S.? There are 40,000 U.S. children actively battling cancer right now. Isn’t that a heartbreaking stat? I get chills everytime I read that sentence. With less than 4% of the National Cancer Institute’s budget going to all childhood cancer combined, I knew it was important for me to get involved. Help us make a difference by donating to Cookies for Kids’ Cancer! I already donated and the goal is to raise at least $3000. These three companies: Dixie Crystals, Mediavine and OXO have each pledged to match our donations raised through this campaign up to $3000!!! Donate here. Don’t do it for me, do it for the kids! I’m just here to spread the word about this fantastic cause. 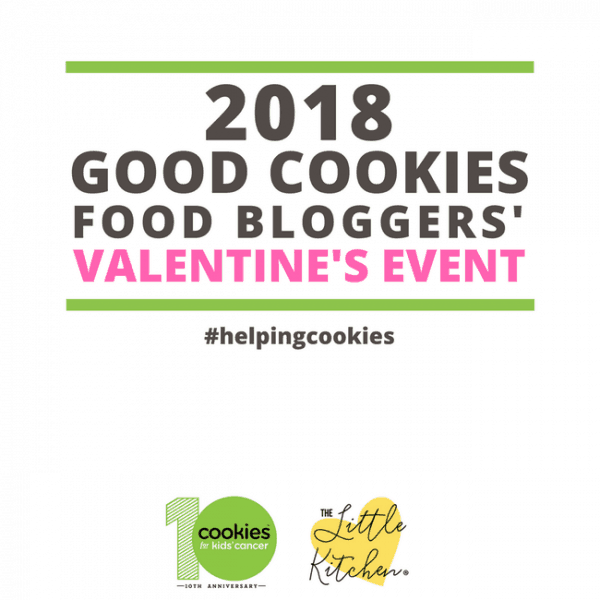 If you get a chance, make sure to check out all these other great recipes that are not only supporting the cause but also making your Valentine’s Day delicious! 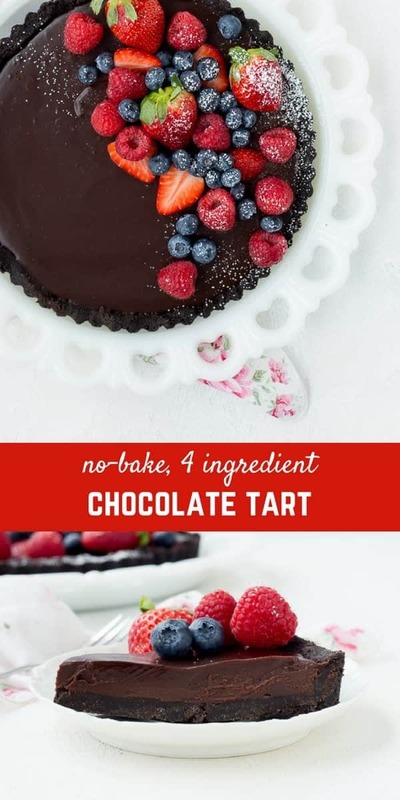 Chocolate Tart Recipe - NO BAKE - 4 Ingredients! Place Oreos into a food processor and blend until mixture resembles fine crumbs. Pour melted butter over the crushed cookies. Pulse until the butter is evenly distributed. Press cookie mixture into the tart pan using the back of a measuring cup and your fingers. Place in fridge or freezer while you prepare the filling. In a small saucepan, heat the cream over medium-low heat until tiny bubbles just start to form around the edges of the pan. Do not boil or even simmer. Remove from heat and pour over chocolate chips. Leave it alone for 2 minutes and then stir until all the cream is blended with the chocolate. Pour the ganache filling over the crust and return the fridge. 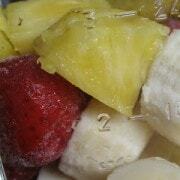 Refrigerate for at least 3 hours or overnight. Before serving, pop out of edges of tart pan, place on a plate and top with berries and sprinkle with powdered sugar. Cut into small slices and serve! Verdict: So good! This easy chocolate tart is going to be an entertaining go-to recipe for me. Your friends will think you’re Martha Stewart! Husband’s take: Ben said this was the best dessert he ever had! My kids devoured this, too. Changes I would make: Absolutely none are necessary, but feel free to make it your own with some of my suggestions above! I tried this out today and I’ll accept, I was a bit skeptical at first, but it turned out wonderfully well! I went with the ‘a bit of coffee goes a long way’ and it tasted heavenly. Thanks for such an easy and time efficient recipe! So glad you liked this! It’s so simple, but SO good, right? I am thinking about making this with mint Oreos for Christmas. Opinions on whether or not I should also add peppermint extract to the ganache or not? Ooooh that would be so yummy with mint oreos! 1/4 to 1/2 teaspoon of peppermint extract would be good in the ganache, but I think it would be good without it too. Depends on how much peppermint flavor you like. How long will the tart keep in the refrigerator? It will keep for 3-4 days as long as it doesn’t have the fruit on top of it. Enjoy! That looks Yummy, I am going to make this for my Mothers 70th. She loves chocolate. Thank you fo the lovely idea! She’s a lucky lady! I hope you both love it. Thank you for the comment! DO YOU KEEP THE OREO CREAM IN ? No Bake Tarts have been on my to-do list! Such an easy dessert! I love how you put the berries on top, it is so pretty! Thank you! They add so much great flavor to cut through the richness, too! I’m drooling just reading this right now – so gorgeous and it sound so delicious! Can’t wait to try!! Can you freeze this? I haven’t tried freezing it, so let me know how it works if you try it! I’m thinking it would be alright – my only concern would be any condensation causing discoloration of the top of the ganache/filling.